Richard P. Smiraglia has been selected as the recipient of the 2018 Frederick G. Kilgour Award for Research in Library and Information Technology, sponsored by OCLC and the Library and Information Technology Association (LITA). Dr. Smiraglia is a Professor in the Knowledge Organization Research Group of the iSchool at the University of Wisconsin-Milwaukee, a Visiting Professor for 2016-2017 at DANS – Data Archives and Networked Services (a Division of the Royal Netherlands Academy of the Arts and Sciences) and Editor-in-Chief of the journal, Knowledge Organization. He has also been on the faculties of the Palmer School of Library and Information Science at Long Island University (1992-2009), the School of Library Service at Columbia University (1986-1992) and was Music Catalog Librarian at the University of Illinois at Urbana-Champaign (1974-1986). The Kilgour Award honors research relevant to the development of information technologies, especially work which shows promise of having a positive and substantive impact on any aspect(s) of the publication, storage, retrieval and dissemination of information, or the processes by which information and data are manipulated and managed. The winner receives $2,000, a citation, and travel expenses to attend the LITA Awards Ceremony & President’s Program at the 2018 ALA Annual Conference in New Orleans, Louisiana. For over forty years, Professor Smiraglia has earned national and international recognition for his research and contributions in many significant areas, including bibliographic control, metadata, knowledge organization and especially in the areas of non-print and musical works. Smiraglia’s curriculum vitae enumerates over twenty-five monographs, over one-hundred scholarly and scientific research articles, as well as published reports, refereed presentations, doctoral advising, successful grantsmanship, and more which demonstrate his worthiness to be presented this distinguished award. The Award Committee noted Professor Smiraglia’s many significant contributions. His most distinguished works are on the theory of instantiation and the growth of science in knowledge organization. 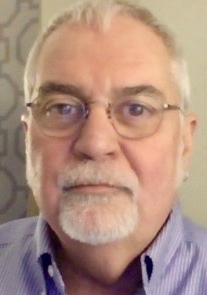 His influential book, The Nature of a Work: Implications for the Organization of Knowledge (Scarecrow Press, 2001), has been invaluable in the era of data management, as instantiation (or “versioning”) is considered to be pressing importance to open data, data publication, and data reuse. Additionally, his service, since 2004, as Editor-in-Chief of the journal, Knowledge Organization, is commendable. He has nurtured the science of the organization of knowledge, leading this journal of the International Society for Knowledge Organization to become the primary source for disseminating research in both applied and theoretical knowledge organization and knowledge organization systems. Members of the 2018 Kilgour Award Committee are Colby Riggs (Chair), Aimee Fifarek, Tabatha Farney, Amber Seely, Kyle W. Willis and Roy Tennant (OCLC Liaison). Thank you to OCLC for sponsoring this award. News & Noteworthy awards, kilgour. permalink.